We are very excited to announce that The Naad Foundation will join us for a second consecutive year at the 2018 Canada Day Drumming Celebration and bring us spectacular showcase of the traditional tabla, the most popular percussion instrument used in the classical and popular music of the northern regions of South Asia! The ensemble is led by Amarjeet Singh, founder of Naad Foundation. 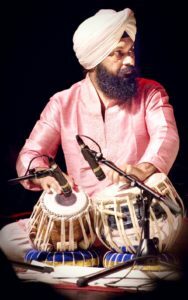 Amarjeet Singh, the founder of Naad Foundation, has a Masters degree in Music and many years’ experience, performing tabla solos as well as accompanying a myriad of leading Indian and Western musicians and dancers at international music and dance festivals. He started learning the tabla from his elder brother, Mr. Deedar Singh, followed by Guru Shri Thakur Kishan Singh ji of Benaras Gharana. Amarjeet was appointed a Cultural Ambassador by the Indian Council for Cultural Relations, New Delhi, to teach and perform tabla in Tashkent, Uzbekistan. Later on he served as a staff artist at the Faculty of Music and Fine Arts, University of Delhi. A scholarship winner from the Music and Drama Academy of Rajasthan, Amarjeet Singh has also won many laurels, such as: Sangeet Bhushan – the Rajasthan Education Department, the Leadership Circle Award – Canadian Red Cross, Heritage Defender Award – Darpan Magazine, and Innovation in the Arts – Drishti Magazine. In 2017, Singh was a nominee for the Mayor’s Arts Award from the City of Surrey. The tabla is the most popular percussion instrument used in the classical and popular music of the northern regions of South Asia. 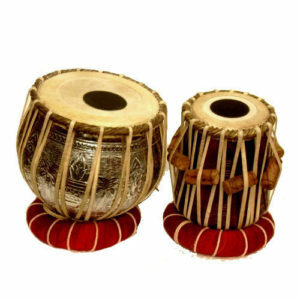 The term tabla is an Arabic word which means “drum”, The origins of the word tabla come from the Arabic word, “tabl,” and this attests to its status as a product resulting from the Fusion of musical elements from indigenous Hindu and Central Asian Muslim cultures that began in the late 16th century.